4. No political party owns the treasury or other SOEs. The state does, so the party that wins the election has to manage the state funds and resources to run the country effectively. If the governing party fails at this, citizens must choose a more competent party. 6. BUT here’s the thing: citizens are both emotional and rational beings. 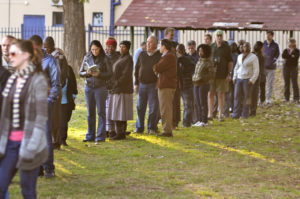 And whereas electing the government of one’s country SHOULD be one of the most rational of decisions, far too often, citizens fall prey to old myths, are swayed by politicians’ promises, blindly follow the emotional but hollow calls and end up unquestioningly voting for a party that does not deliver on its promises for a better country. So, before the May election dawns, ensure that you put on your rational cap, that you take a global view of the consequences of your vote by reading, listening, discussing and comparing the party-specific offerings. 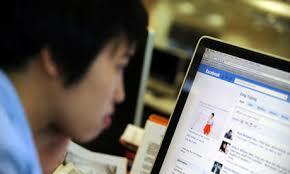 Make every effort to engage with the media, not simply as a user but as a concerned citizen. Make your mark count to make your country better. This entry was posted in Analysis and Advice, Education and Training, In the Media, Leadership, Self development, Social Conversations, Social media, The Media and politics and tagged citizens, civil society, comparing policies, consequences, democracy, economy, global view, government, growth, ideology, parliament, party-specific, policies, political representatives, politicians, promises, prosperity, rational choices, rights, SA elections, SOEs, state funds, State owned enterprises, state resources, voters on Apr 15, 2019 by Dee. Communicators, marketers and advertisers are continually being told to create ‘stories’ that resonate with their target market. They are also urged to engage with social issues and to tackle activist projects of resistance, to develop as ethical brands, to stand out from the crowd. Most brands are quite terrified of negative stakeholder perceptions, especially when it comes to expressing controversial views. So they tread the safe path and remain the same. Not Nike. In keeping with its Just Do it slogan and its fearless philosophy of facing sporting challenges, Nike launched its 30th Campaign by featuring brave sports celebrities in its ads. 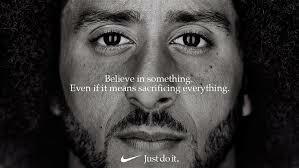 The most recent Nike ad features the face of Colin Kaepernick, the NFL super star-turned-activist against racism and police violence, with the text “Believe in something. Even if it means sacrificing something.” And boy, did it cause outrage amongst critics and conservatives, #justburnit became their slogan, urging people not to support Nike, not to buy Nike sport products, to even burn the ones they had. 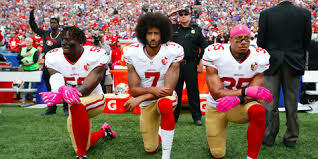 Just in case you missed the background story: In the USA it is common practice for players in The National Football League to stand and sing the national anthem before an important match. However, following the spate of police violence against black youths and other racial incidents in 2016, some of the NFL players decided to mark their protest by not standing with fists on hearts, but rather to bend-a-knee during the anthem. The purpose was to highlight the racial injustice in the country. President Trump weighed in, calling the players disrespectful and unpatriotic, even suggesting punishment and non-payment of player-activists. Yes, perhaps Nike shares did drop a little initially, due to the raging debates, but within two weeks they were up again and Nike recorded 31% increase in online sales. So Nike’s corporate activism – mixing politics with sport – has been vindicated, showing that taking a stand or doing good is good for business. A host of recent surveys and reports proves Nike’s controversial move makes total business sense. Marketing lecturer, Williams says, “Nike wants to be on the right side of history and the right side of its core consumers.” And these happen to be mainly sport enthusiasts and millennials. A 2017 Edelman poll found “The majority of Millennials (60 percent) are belief-driven buyers,” – they want their brands to take a stand on social issues. So companies – Just do it! Take a stand. This entry was posted in Analysis and Advice, Branding, Business Strategy, Corporate Communication, ethical branding, In the Media, Leadership, Public Relations, Social Conversations, Social media, stakeholder perceptions, Strategic corporate communication, The Media and politics and tagged #justdoit, belief, corporate activism, doing good, ethical brands, good business, millennials, NFL, Nike, players, politics, racism, social marketing, Trump, violence on Sep 19, 2018 by Dee. What is ‘fake news’? And how does it affect us? Have you noticed how this ‘catch-all’ confusing media term is being used every day? Donald Trump uses it to describe any news he doesn’t like, doesn’t agree with, or that doesn’t come from his own tweets. And although we associate the term with Trump, stories involving ‘fake news’ have been around for a while. But what does it mean in our hi-tech social media world and how does it affect our own interpretation of news and how we respond to it? Is it propaganda, deception, misrepresentation or just plain you-know-what? All of the above. One definition of fake news, or hoax news, is “false information or propaganda published under the guise of being authentic news. Fake news websites and channels push their fake news content in an attempt to mislead consumers of the content and spread misinformation via social networks and word-of-mouth” (www.webopedia.com/TERM/F/fake–news.html). Wikipedia defines it as news which is “completely made up and designed to deceive readers to maximize traffic and profit. News satire uses exaggeration and introduces non-factual elements, but is intended to amuse or make a point, not deceive. Propaganda can also be fake news” https://en.wikipedia.org/wiki/Fake_news . 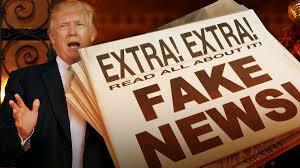 Other fake news includes a report that Democratic senators wanted to impose sharia law in Florida, and a false report that Trump supporters chanting “we hate Muslims, we hate blacks, we want our great country back” at a rally was reported as true on election night. According to Verlie Oosthuizen, a partner at Shepstone and Wylie’s social media law department, “Fake news – which previously targeted celebrities – has shifted to politics; Donald Trump’s election shows the impact of this growing trend on politics”. 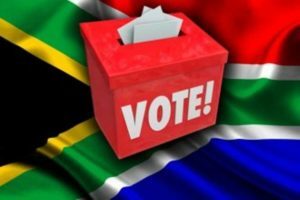 Sabotage had allegedly been the aim of the work of an ANC team called the “War Room” in the run up to the local government elections. 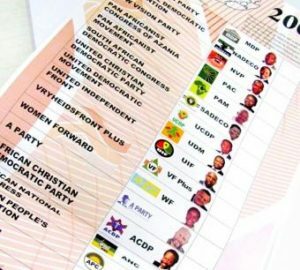 Allegations that its goal was to create posters depicting opposition political parties negatively, were contained in a court application by Sihle Bolani. The public relations strategist fingered Shaka Sisulu, Walter Sisulu’s grandson, as her recruiter, as did Thami Mthimkhulu, a Durban man who claimed – on Twitter – that he had been sent slanderous posters of EFF and DA leaders to share and “push” on social media. The proliferation of fake news targeting political parties and politicians is “new-age propaganda” that is not likely to stop and political leaders have to brace themselves for the online onslaught. This is according to a social media lawyer and a researcher, who were responding to allegations that the ANC spent R50 million to spread fake news and pay social media “influencers” to discredit the political opposition. Many commentators agree that as the ANC succession debate heats up, South Africa could expect even more fake news. So be aware…. Should we be worried about fake news? 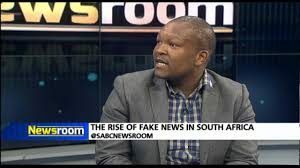 Social media expert, Arthur Goldstuck, believes fake news completely destroys public discourse and undermines democratic values: “Anyone who participates in this in order to advance their objectives should realise the long-term damage. It ultimately renders everything they put out untrustworthy.” He believes there should be consequences but “until someone is caught and prosecuted, it will go on”. Analysis by BuzzFeed found that fake news stories drew more shares and engagement during the final three months of the US election campaign than reports from, for example, the New York Times, the Washington Post and CNN. The power of this ‘fake news’ is clear. So, how do you tell what is fake news? Surely it’s easy to tell fake news from real news Actually, no. A recent study carried out by Stanford’s Graduate School of Education assessed more than 7,800 student responses on their ability to assess information sources. Researchers were “shocked” by students’ “stunning and dismaying consistency” to evaluate information at even as basic a level as distinguishing advertisements from articles (from The Guardian article by Elle Hunt). Soon, Facebook will flag stories of questionable legitimacy with an alert that says “Disputed by 3rd party fact-checkers”. Melissa Zimdars, a professor at Merrimack College in Massachusetts, compiled this list of websites that either purposely publish false information or are otherwise entirely unreliable, broken down by category. The German chancellor Angela Merkel, pressured Facebook to introduce a fact check button to try to deal with fake news. This is already effective in the US as well and whether Facebook is going to mobilise this across the globe remains to be seen. And what can we do to stop its spread? So we’ve deduced that fake news is intentionally created and can discredit stories and the people in them and lead us to believe that something is true when it’s not. So we need to be smarter at recognising and combating news that is fabricated. “Share responsibly”, says Hunt, “you are an influencer within your own social network: put in the legwork, and only post or share stories you know to be true, from sources you know to be responsible. You can help shape the media you want, too. Withhold “hate-clicking” on stories you know are designed to make you angry”. Pay for journalism and news that have real value. This entry was posted in Analysis and Advice, In the Media, Leadership, Media Ethics, Research, Social Conversations, Social media, The Media and politics, Writing for the Media and tagged ANC, Angela Merkel, authenticity, clicks, DA, Donald Trump, EFF, electioneering, engagement, evaluate news, Facebook, Fake news, influencers, information sources, journalism, media, media ethics, news sites, newsworthiness, politics, propaganda, sabotage, sharing, truth, Twitter, war room on Feb 27, 2017 by Dee. Taken from and Thanks to: Jack Kosakowski – @jackkosakowski1 – “a passionate practitioner and proselytizer in the social selling space” (Act-On). Don’t sell at this stage, just connect and build a network. funnel, some will drop out as time passes. 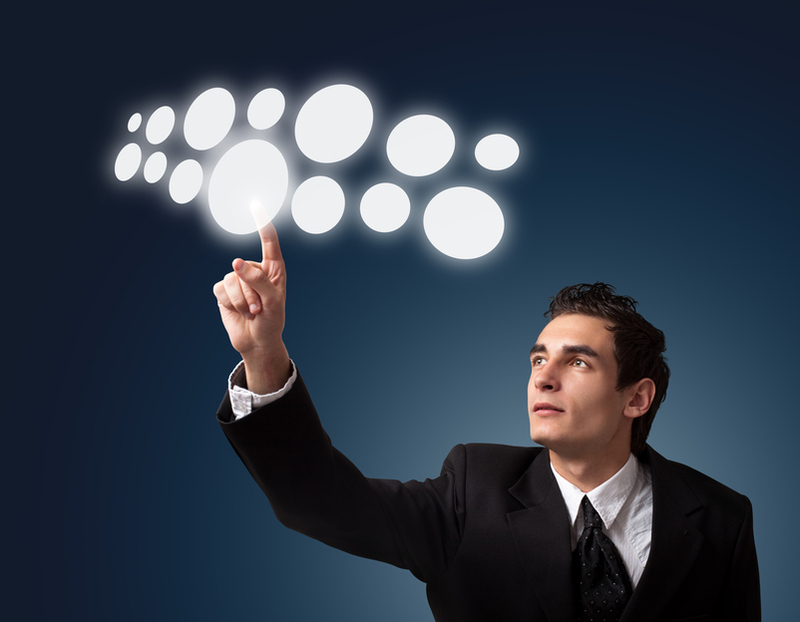 Prioritize vigilantly, and focus on the most promising prospects. will be listening and soaking it all in. This will help you learn what’s important to them. become stronger. This is a place to separate yourself from the competition. As you engage, you build credibility. that you know they will find valuable. first impressions are everything. Your prospect won’t let you waste their time twice. crowd – or written off as irrelevant. Be smart, be persistent, stay engaged, and always add value. This entry was posted in Analysis and Advice, Business Strategy, Corporate Communication, Public Relations, Social media, Strategic corporate communication and tagged building relationships, communication, connect, conversations, engage, people, prospects, selling, social media on Jan 15, 2016 by Dee. REAL Communication Consulting’s Desiray Viney ran a workshop entitled, ‘Must Haves’ for The New Age Executive at Pietermaritzburg Chamber of Business this week. Attended by managers and directors of business, industry and NGOs, it produced much discussion around the qualities, attributes, skills and actions of an effective manager or leader in this volatile, uncertain and fast-paced world. 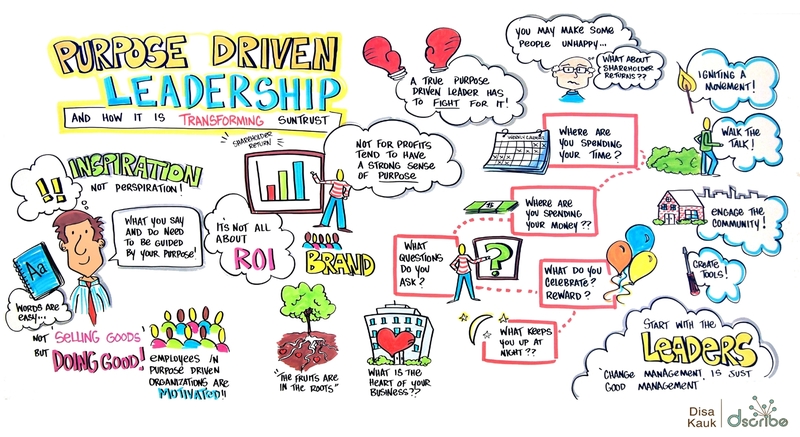 Have the courage and skills needed to lead an organisation in today’s environment – To build the confidence of your people to achieve the impossible: constant improvement, growth against a backdrop of extraordinary challenges and growing stakeholder expectations. Know that all people in your organisation are important – make the effort to be in their presence. Don’t be too far removed from those who matter most – within boundaries. People at the “bottom” are more informed and empowered than ever. Respect them. While they need your wisdom and direction, you should draw on their input in your decision-making. Ask the difficult questions and have the tough conversations on all levels of the organisation. Know the facts crucial to making wise decisions, and make a conscious decision that knowing the truth, being respected and doing what is right is most important, more so than being liked or avoiding conflict. Communicate purposefully! Don’t allow an information vacuum. Give feedback. Muzzle your voice, listen to what others think, and schedule face-to-face interactions. Know that values drive people’s behaviour, strive to create a values driven organisation. Remain true to your own values, which should match those of your organisation. Enable people to strive for excellence, and celebrate when they achieve. Have fun too. Have a Plan, acknowledging the speed of socio-political and economic change and how these interact and impact your business. The rate of change is very fast and it’s becoming more difficult to predict these forces in society, but you still need to strive to understand them. Taki Anastasis, Sunshine Bakery’s chief executive, distinguished between the leader and the manager roles and explained how sometimes there’s a gap in their understanding of certain issues and how they communicate their understanding of values and instructions etc. 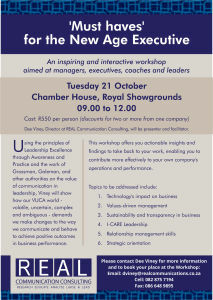 This workshop raised a number of issues in Business. Clearly, every business is unique and requires leadership appropriate to its operational environment. It also highlighted the need for more research on how local company bosses communicate and implement their vision, values and strategies. Information collected would provide the appropriate data and findings to advance leadership in South Africa. This entry was posted in Analysis and Advice, Business Strategy, Corporate Communication, Education and Training, Leadership, Research, Self development, Social media, Strategic corporate communication and tagged actions, bosses, business, Business leadership, communicate, courage, EQ, executives, global economy, goal driven strategy, leaders, people management, purpose driven leadership, qualities, questions, relationships, reputation management, risk, skills, skills development, social media, socio-political forces, strategy, values, vision on Oct 28, 2014 by Dee. 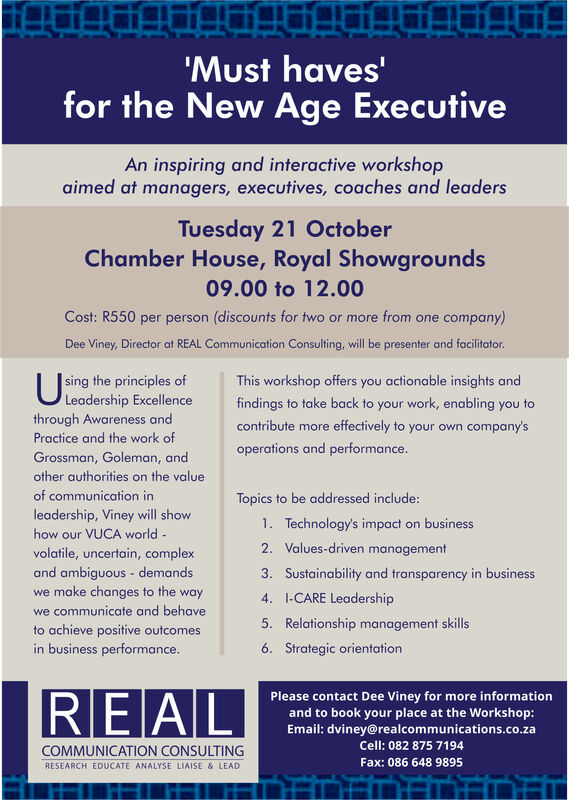 Come to the next REAL Communication Consulting Presentation and Workshop…….. This entry was posted in Business Strategy, Corporate Communication, Education and Training, Language, Learning and Liaison, Leadership, Self development, Social Conversations, Social media, Strategic corporate communication and tagged business performance, coaches, executives, goal-driven management, Goleman, Grossman communication, LEAD principles, leadership attributes and skills, management, managers, practice, relationship management, strategic orientation, technology, values, vision, VUCA World on Oct 3, 2014 by Dee. You’re a Corporate Communication Strategist? But what do you do? 1. The world is a different place now. Business is only one part of a much greater system and, to sustain harmony in the world, organisations have to consider their place in and their responsibility to the bigger system. They have to act in a way that enhances the concept of interdependence between economic, financial, environmental, political and social factors. The business arena is ‘being watched’ by activists and thought leaders who are very ready and able to expose companies that cause disharmony; so much so that regulators and governments are responding to the pressure by imposing guidelines and conditions for how organisations should behave if they want to be seen as reputable and sustainable global players. 2. 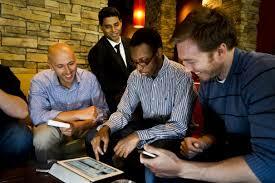 A business is not self-sufficient, it needs all kinds of support from those on whom it depends for its existence. Today, people and consumers know more and expect much more from business. They want to feel that a business identifies with them and their needs, not the other way around, and ‘speaks to’ them. 3. There are thousands of similar products and services out there, so why should people choose yours? What you offer, over-and-above your product, counts for a lot now, and it is involves more than a transactional relationship, it must be real engagement with your people – an emotional connection. Differentiation through communication not products. 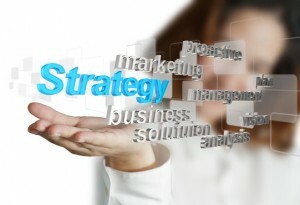 A communication strategist understands these factors and reaches out to the business world to develop a deep appreciation of how these factors impact a business’s operations, growth and success. The strategist engages with organisations through communication learning from each other, getting to know the company’s situation and responding to stakeholder needs appropriately to achieve business goals. Tony Manning, once said, “Organizations are managed conversations.” Every day you and your organization communicate. There is an ongoing flow of information, ideas, opinions and emotions between an organisation and its audience or stakeholders – but is this communication well-planned to achieve its goals? 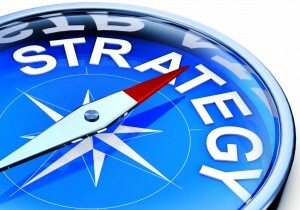 Is it sufficiently strategic? For corporate conversations to be meaningful and have a positive impact on the company and its publics, they need to be planned, appropriate and relevant. And the messages that come from a company must reflect its personality and its purpose. Developing a strategic communication plan moves the company in the right direction, getting internal and external audiences to buy into its vision, plans and activities. The plan begins with YOU. Your company’s purpose and vision is fundamental to your success. If you don’t know your company’s purpose or even your own, finding one is your first priority. You also need to identify those with whom you want to share, collaborate and build your company, and then harness the power of communication to get them to work with you to accomplish your business goals. Many business owners, managers and leaders need a helping hand in developing a clear, consistent and effective communication strategy. That is where the communication strategist comes in: she begins their conversation by getting the ‘boss’ to reflect on the business, its purpose and goals, its strengths, weaknesses and challenges, asking questions like: what is the outcome you want? What stands in your way? How do you overcome these obstacles? 10. Develop reflective practices that help you develop your communication expertise. A communication strategy helps you create a productive communication environment, generating trust and a culture of interactive, engaging and meaningful communication in your organization. Once your business starts on this journey, it will see itself as part of a much larger system with greater goals for future sustainability, and it will begin considering ways to make not only its business, but the world, a better place. This entry was posted in Analysis and Advice, Business administration, Corporate Communication, Education and Training, ethical branding, In the Media, Leadership, Public Relations, Research, Social Conversations, Social media, Writing for the Media and tagged activists, business goals, communication strategist, conversations, differentiation through communication, government, growth, King Report, make the world a better place, organizational communication, products and services, regulators, reputation, role of the communication consultant, success, sustainability, transactional relationship on Dec 28, 2013 by Dee.